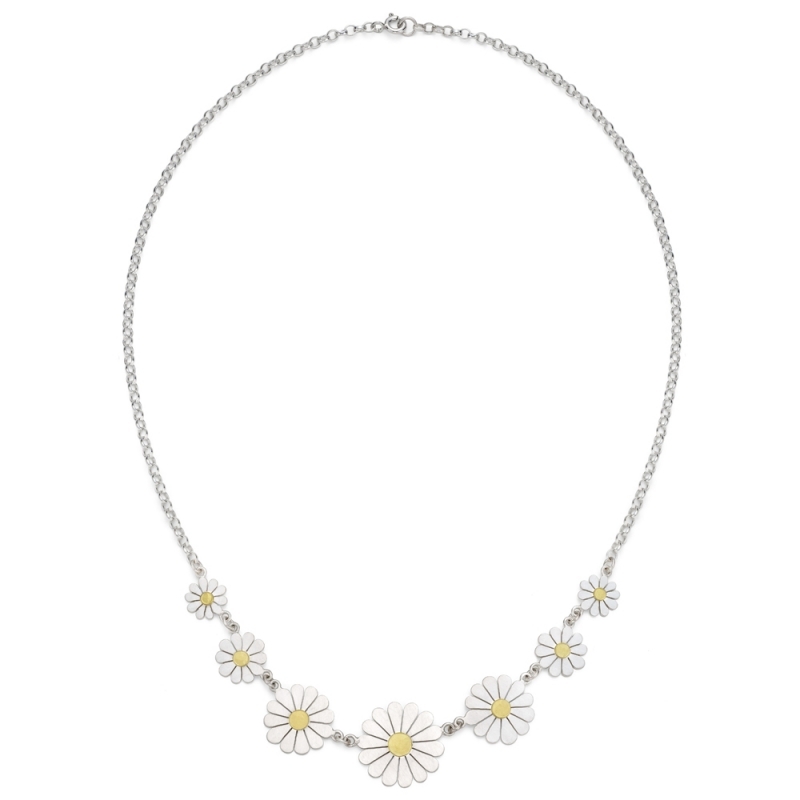 Seven beautiful and delicately hand pierced silver daisies create the focal point of this elegant and feminine necklace. The seven silver daisies each have a hand forged 18ct gold centre. The satin finish on the daises beautifully contrasts the silver with the warm yellow 18ct gold. The daisies hang on a simple polished silver Belcher chain. The perfect necklace for a special occasion such as an anniversary or for a beautiful bride on her special day. Largest daisy diameter: 1.8cm / 0.7"
Measurements Chain Length: 43.2cm / 17"